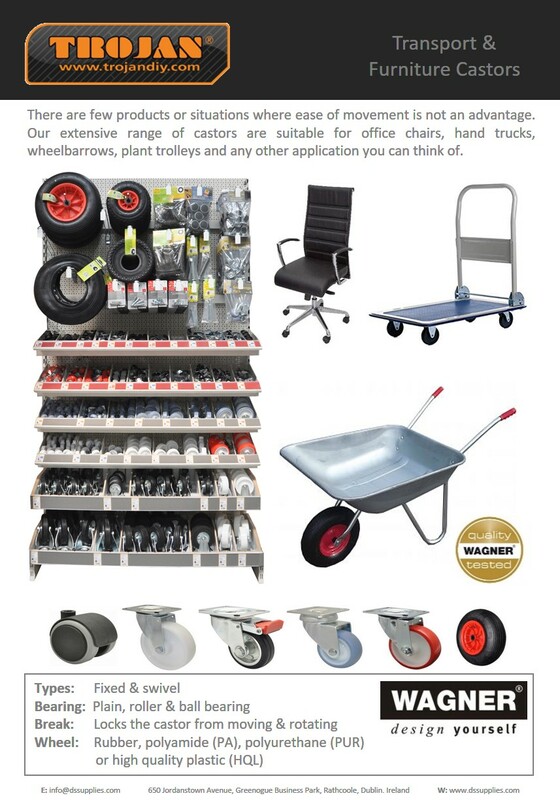 Wagner is a family business which was founded in 1977 with (almost) nothing but a clever idea to begin with. Today Wagner is one of the leading manufacturers of high quality furniture components in Europe. 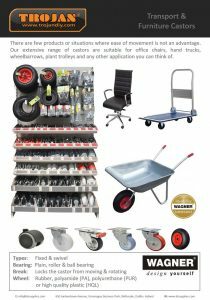 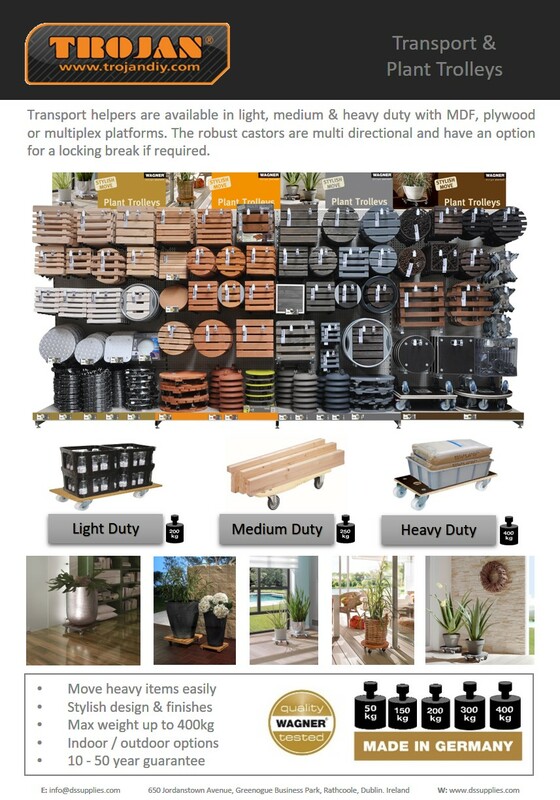 DS Supplies are the sole suppliers of the new range of WAGNER plant & platform trolleys and castors. 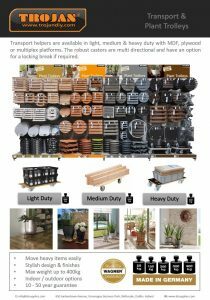 A brand of assortment trolleys for indoor and outdoor use which are available to choose from. 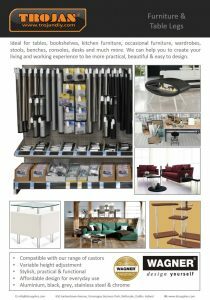 High quality produced products that are manufactured according to the latest environmental guidelines and tested in accordance with state of the art standards.